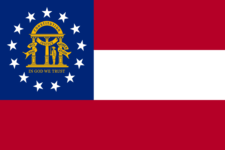 Georgia form 500 EZ is designed for state residents for filing their income tax. Designed to streamline the filing process, form 500 EZ is for residents who have made less than $100,000 in a year and are not over the age of 65. Residents can also use the form if they do not have any dependents and are a full-time resident of the state of Georgia. If you earn your income through means outside of normal wages or tips, such as through property, you cannot use this form. Never forget to file GA 500EZ again.